WASHINGTON :California-based manufacturer of custom plastic bags-Lindamar Industries Inc announced its new line of certified compostable bags made from renewable starch and biodegradable polymers. According to the company officials, the new line of product meet all international standards including ASTM International’s D6400 and European Standard EN13432 certification requirements. – not diminish the value or utility of the compost resulting from the composting process. The company is believed to have made huge investment towards the project. The production facility currently produces about 1.5 million bags per day. The company is quite satisfied by the consumer response. 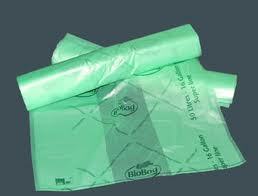 The compostable bags come in various styles and colours. The company plans to invest more to meet the increasing demand of compostable bags. Lindamar is also moving towards having a certified sustainable plant.